Gain strength to punch harder, build speed and develop good footwork using the Carbon Claw PRO X ILD-7 4ft heavy leather punch bag. 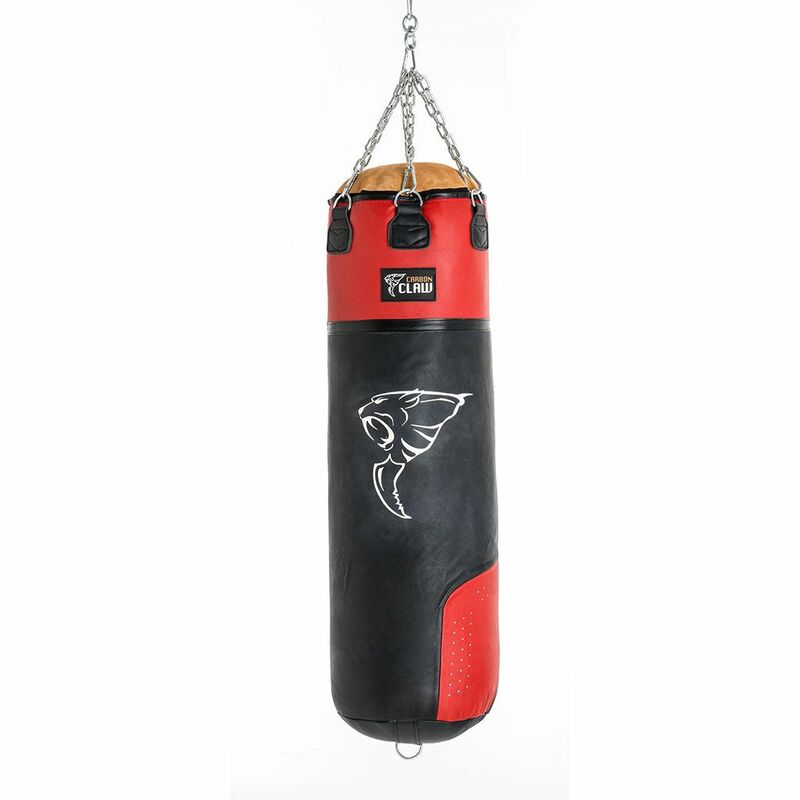 This solid and durable 4ft (122cm) punch bag features 6 heavy gauge D-Ring hangers ensuring safety and stability and there is an additional metal D-Ring sewn to the base to attach a weight or fixing and prevent the bag from swinging. Suitable for the toughest workouts, the punch bag weighs 45kg (99lbs) and has been manufactured from genuine leather. For added strength, it has a heavy duty zipper and double stitched seams, while a textile filling guarantees a more natural feel. 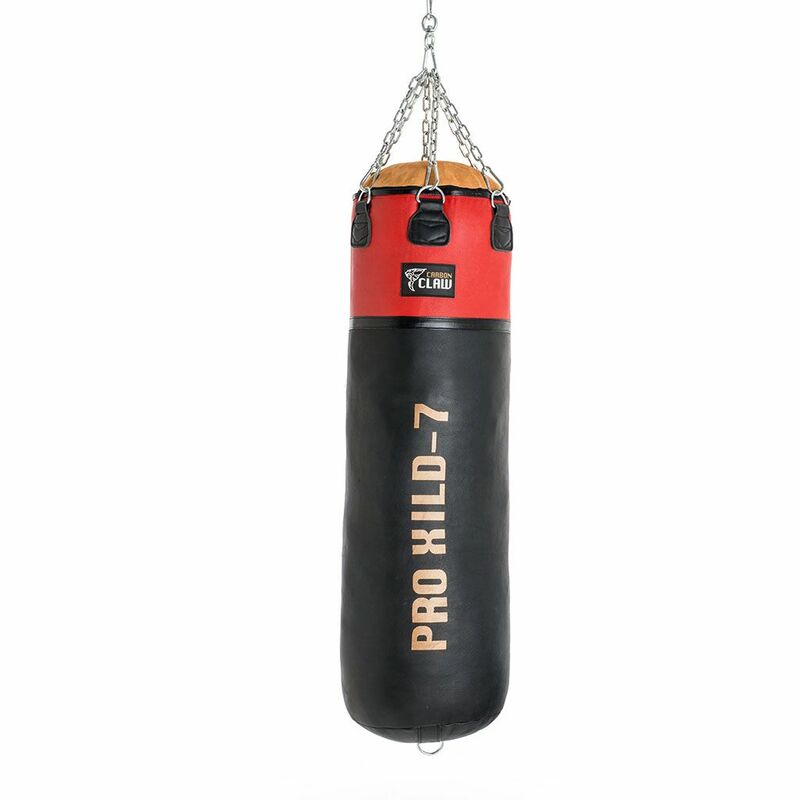 for submitting product information about Carbon Claw PRO X ILD-7 4ft Heavy 45kg Leather Punch Bag We aim to answer all questions within 2-3 days. for submitting product information about Carbon Claw PRO X ILD-7 4ft Heavy 45kg Leather Punch Bag. We aim to answer all questions within 2-3 days. If you provided your name and email address, we will email you as soon as the answer is published. for submitting product review about Carbon Claw PRO X ILD-7 4ft Heavy 45kg Leather Punch Bag.